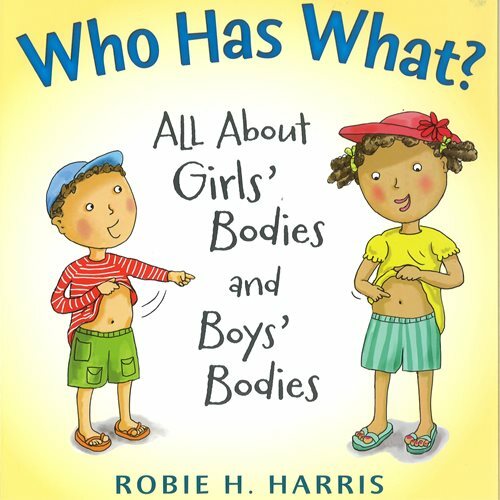 A book that easily and simply answers questions on how girls’ and boys’ bodies are different. This book introduces appropriate names for all body parts. Young children are curious about almost everything. Asking questions is one of many ways they learn about themselves and the world around them. Now, this unique series for our youngest children provides easy-to-understand facts and answers to their delightful, thoughtful, and often nonstop questions. Launching the series is WHO HAS WHAT?, a simple story following Nellie and Gus on a family outing to the beach. Humorous illustrations, conversations between the siblings, and a clear text all reassure young kids that whether they have a girl's body or a boy's, their bodies are perfectly normal, healthy, and wonderful. Authoring the series is Robie H. Harris, whose nonfiction books are known as the source for addressing kids' questions about themselves, their families, and their friends. Nadine Bernard Westcott's accurate and entertaining illustrations offer an inviting way for children to discover straightforward, fascinating information about themselves.